• At the Applied Imaging Seminar Stage, the Golf Show welcomes Chris O’Connell, PGA Tour star Matt Kuchar’s teacher since 2006 and a Top 100 Teacher in America. Other presenters include: Joe Charles, Treetops; Jason Guss, Golf Digest’s Top Young Teachers list; Ian Hughes, GolfTEC; Adam Schriber, LochenHeath GC; Mark Wilson, Ferris State; Kyle Wolfe, GAM; John Ericsson, Swan Lake. • The Treetops Par-3 Challenge remains a top draw of the Show. Patrons vie for prizes and a chance at a $25,000 ace at a fully landscaped golf hole while raising funds for charity. With a large and protected grandstand nearby, it’s also a fun place just to watch great shots and big misses. • Parents and junior golfers love the PGA Family Fun Zone where activities include: taking a swing at Golfzilla and GolfGator, large inflatable targets; clinics from The First Tee of West Michigan; and miniature golf. Plus the latest info on junior golf including the highly popular PGA Junior League and the Drive, Chip & Putt Championship. All juniors age 14 and under are admitted free throughout the show! Oh to be young again! • Ladies’ Night is Friday and offers special events and giveaways just for women. The first 500 women on Friday receive a special gift. • Check out the Trackman Performance Clubfitting area by the Ferris State PGM program and learn valuable data about your swing and equipment. • Renew or sign up for a membership with the Golf Association of Michigan and receive a special gift as a bonus. 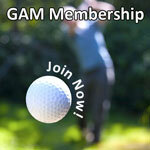 Learn about GAM Golf Days— fun, casual one-day events at exclusive Michigan golf courses, public and private. The GAM is celebrating its Centennial in 2019! 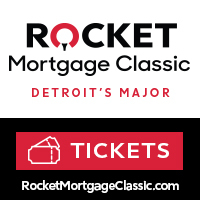 • Courtesy of the Michigan PGA, golf pros are giving free lessons all weekend, providing patrons with golf tips to prep them for skills contests at the show and the new season. 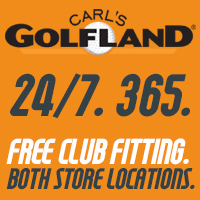 • Retail outlets and golf courses offer a fantastic shopping experience for clothing, equipment, shoes, accessories and more. And receive smart advice in the process. • Book your golf getaway at the Golf Show. Many exhibitors have show specials exclusively for patrons stopping at their booth. Produced by ShowSpan, Inc., the West Michigan Golf Show is sponsored by Treetops Resort, Applied Imaging, Golf Association of Michigan, Michigan PGA and the Ferris State PGM program. Hours are 2:00 pm-9:00 pm, Friday; 10:00 am-6:00 pm, Saturday; and 10:00 am-4:00 pm, Sunday. Tickets are $10 online for adults and $12 at the door. Twilight Adult rate is $8 at the door the last 2 hours of the show. Juniors 14 & under are FREE. New this year: Admission price is good for the entire run of the show with wristband given out at the show. Tickets available now online at WestMichiganGolfShow.com or at DeVos Place Box Office during show hours.